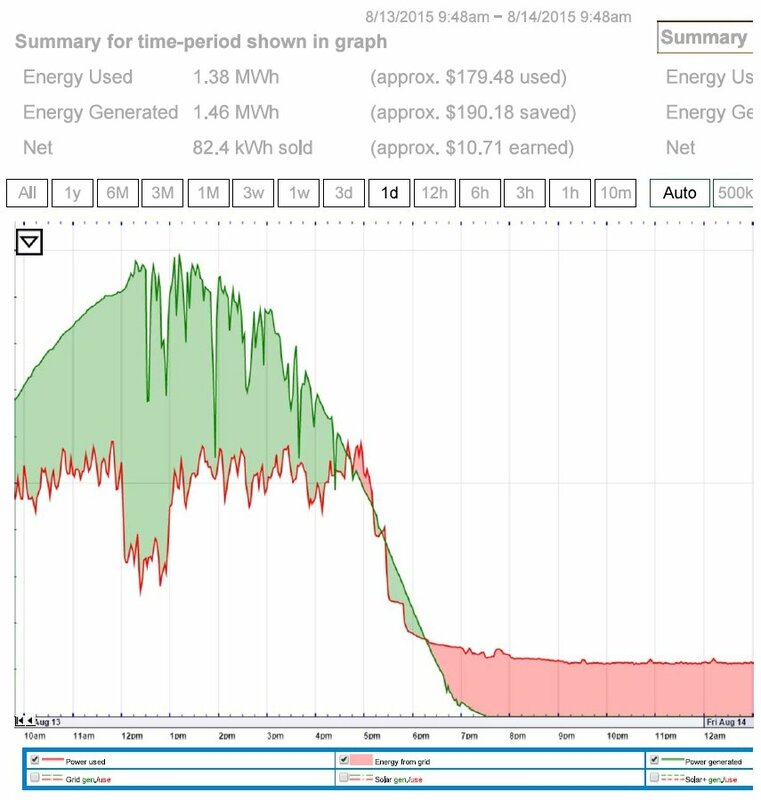 Adding the ability to measure and record total building electrical consumption and compare it to solar production is one of the most valuable ways to see and manage your electrical costs. Track your usage and compare it to your renewable energy generation, helping you achieve net-zero energy consumption, maximize your payback, and lower your monthly electricity bill. With second by second updates, you will immediately see major loads turning on and off, giving you the information needed to minimize peaks and maximize efficiency.